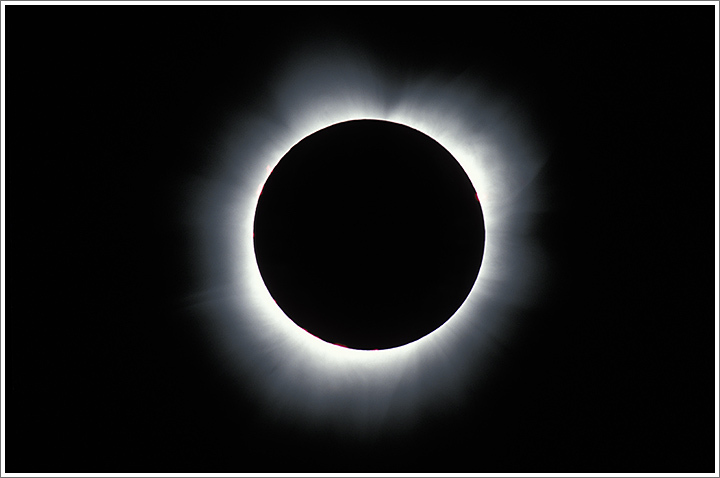 Total solar eclipse viewed from small village north of Lusaka on June 21, 2001 using a Canon EOS-1 and 600mm f/4 lens with 2x teleconverter on Fujichrome Velvia slide film. This entry was posted on Thursday, June 21st, 2001 at 6:06 pm. It is filed under On the Road and tagged with Africa, Astronomy, Eclipse, Travel, Zambia. You can follow any responses to this entry through the RSS 2.0 feed.